All too often, when you're out in the field, shooting concerts or literally in a field shooting landscapes, I find myself scrambling around my gear bag looking for a battery, lens, or a filter. This is why I cannot stress enough how important it is to have a good flashlight. Being a thrifty accessories consumer, I purchased one of those cheapo $3 led flashlights off of Amazon in hopes that it would do the trick. The one I got was fairly solid and was delivered to my home is a quick 37 days (origination in China somewhere), boasted 300 lumens, adjustable focal range, and featured 4 modes - high beam, medium beam, low beam, and strobe. The torch had a tail clicky button and was kept in my camera bag fairly regularly. Not after long, maybe about 3-4 months of light use, the tail clicky button began to respond when it wanted to, and was often found illuminating the inside of my bag without being touched. The clicky button was pretty robust and required quite a bit of strength to trigger. So I kept the light on my table and noticed that it would turn on an off on its own. Further, when in use, it would flicker on/off or not click on at all, even if the battery was at full charge. Also, while I didn't use an integrating sphere to measure the actual lumens, when compared to the Foursevens Quark AA2, rated at 280 lumens, the Quark was far brighter. This was not going to fly, even for moderate-to-light use. 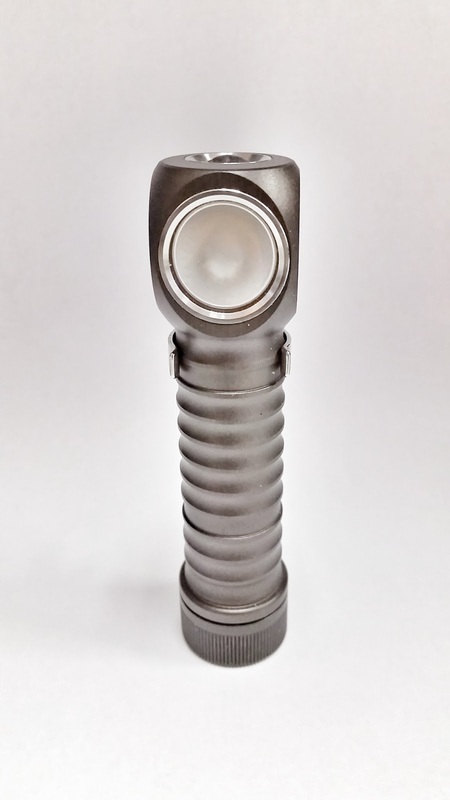 Enter the Zebralight H600FC Mk3. 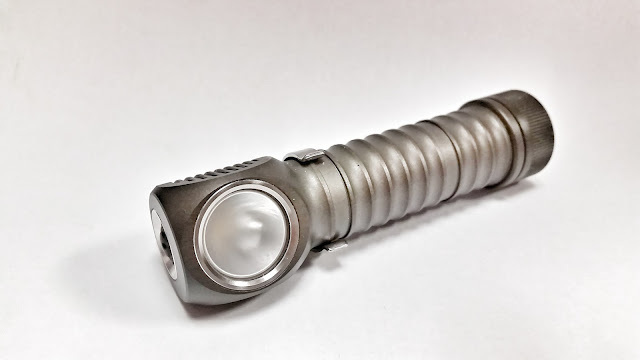 Normally, I try to stick with flashlights that use common batteries, like AA or AAA because they are easy to find if my Eneloops either fail or die when I am away from my stash of Eneloops or my charger (hasn't happened yet as Eneloops are super reliable). But the biggest drawback of AA lights is that they are not as bright/powerful as 18650 battery-powered lights. The H600FC III is a newer light that is equipped with a Cree XM-L2 EasyWhite LED bulb, which is rated at 4000K. The 4000K is a cool white color temperature that is fairly pleasing to the eye, not too bluish, and not too harsh. The light has a unique UI that features 3 main levels of brightness (high, medium, low) as well as a beacon/strobe mode. Short click once to get the high beam (a whopping 800 lumens), short click twice for medium (54 lumens), three times for beacon-strobe, or hold the button down for low beam. There are a myriad of methods to program the flashlight, but I like to keep it simple - high, med, low. In addition to the bright LED bulb, the H600FC has a frosted lens, which diffuses the light consistently over a wide area - close to 170 degrees. At first, I didn't think I'd like this feature. But after using it out in the field, this simple feature was effective in giving me enough spill light to give me excellent coverage. I even use this light to give me ambient off-camera lighting. One item of note, this light is designed to be a headlamp. The design is unique in that the bulb is angled 90 degrees, not on the end like most traditional torches, and the soft-touch button is on the end. This took some getting used to, as I use the light as a handheld light 99% of the time. The 1% of the time I've used this light was when I mounted it to the included headband which holds the light in place with a silicone fitting. The light is a bit heavy, clocking in at 4oz, with battery and headband. Most headlamps I've used are around the 3oz mark. So, at times I felt like the H600FC was sliding forward on my forehead, even with the straps tightened to the point of discomfort. I've been using this light for the better part of 4 months because I wanted to comment on battery life. As I previously mentioned, this light runs on a 18650 battery, which is fairly new territory for me. Let me tell you, I'm a convert now! I've used the H600FC III fairly consistently for the past 4 months, taking with me to Northern Michigan on hikes, boat rides, to Vancouver on dark hikes, and on several camping trips. Since receiving the flashlight, I've only used up approximately 25% of the battery life. I'm basing this off of the in-flashlight feature of clicking the button 4 times quickly, and the light flashes between 1-4 times to show you how much battery life remains. With 4 months of heavy use, the light finally only flashed 3 out of 4 times, indicating approximately 75% battery remaining, after a total of about 1.5 hours of use between high, medium, and low beams. Oddly enough, the most important times I had the flashlight with me were when I was inside homes that had the power cut out. The 800 lumens did the job in illuminating the rooms enough that we were able to see what we were doing. The light became quite warm to the touch when using it for approximately 20 minutes straight. And it was after the most recent home inspection that the battery finally indicated 3 out of 4 battery life left. This is pretty amazing considering how much I have been using the light. The H600FC III has permanently propelled itself into my everyday carry. I purchased a Armytek Wizard flashlight clip so it can clip into my pocket for easy access. This would be my only complaint about this flashlight - the lack of a decent clip for ease of access. The Armytek clip only ran me around $7 shipped to my home, so it's not a huge deal. 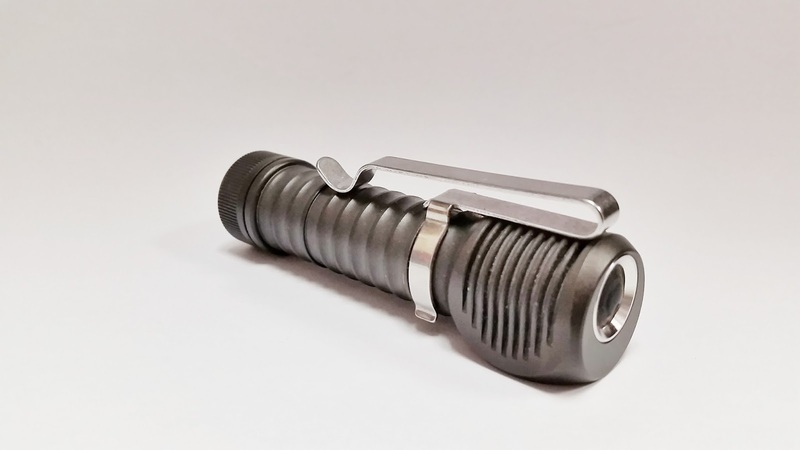 The H600FC III should be a top consideration for anyone looking for an everyday carry torch, though I am intrigued enough to take a look at the non-floody version of this light.